Assange was unaware at the time of these machinations. Fearing extradition to Sweden and thence to the United States, he sought asylum in the Ecuadorian embassy in London where he remained until his arrest on 11 April. That arrest was only possible because the Ecuadorian president Lenin Moreno revoked Assange’s asylum status. It is at least arguable that Moreno was in breach of the Ecuadorian constitution in so acting. What is it certainly known is that Moreno himself is the subject of allegations of criminal wrongdoing and feared that Wikileaks was going to expose his alleged misconduct. It is also known that Moreno sought a multibillion-dollar loan from the International Monetary Fund, a long time instrument of Western interests, and that a condition of the loan was that Moreno revoked Assange’s protected status. The ostensible reason for arresting Assange was because of his bail violation. 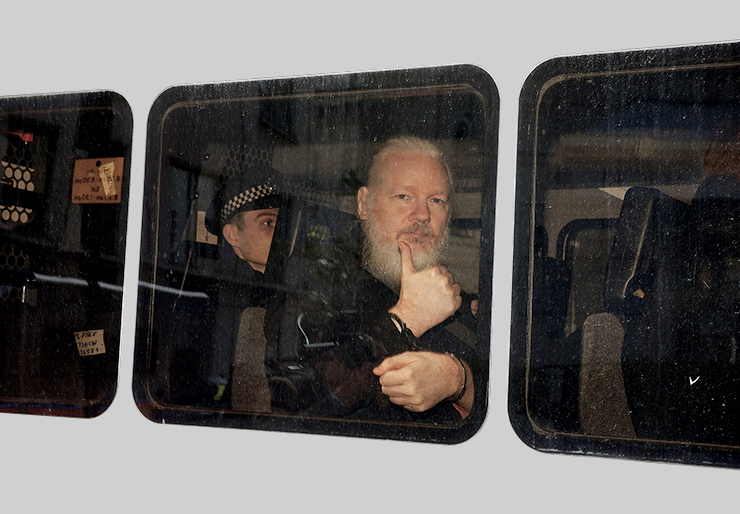 It is manifestly absurd that the British police have over several years spent millions of pounds guarding exits from the Ecuadorian embassy to prevent Assange leaving, because of a charge that carries a maximum six months imprisonment and which is ordinarily dealt with by way of a fine. It is all the more absurd because the matter for which he was on bail (the Swedish charges) had long since been dropped. The Americans have now made an extradition request to the United Kingdom for Assange to be extradited to the United States to face a charge, now also finally released, of conspiring with Chelsea Manning to hack into “a classified United States government printer”. Manning, it will be recalled, was pardoned by President Obama seven years into a 30 year sentence, but has since been re-imprisoned for refusing to give evidence against Wikileaks to a grand jury. When, if ever, he will be released is not known. What it does reveal is the relentless persecution of persons who fall foul of the US establishment. Manning and Assange are not the first such victims, and neither are they likely to be the last. It is a charge the Obama administration was unwilling to prosecute because of concerns that by its nature it endangered investigative journalism. It is here that mainstream journalists and media outlets that were initially happy to publish Wikileaks material but who latterly belittle and smear Assange are most at risk, although there is little evidence that they appreciate the danger. That editorial was in respect of actions by Assange and Wikileaks that are, a decade later, the subject matter of the indictment that Assange faces. The prosecution of Assange has more to do with silencing critics of unlawful and outrageous government conduct than it does with Assange per se. By refusing to campaign against this latest example of US extraterritorial overreach the western mainstream media are blithely walking into a trap that will ultimately destroy them too.